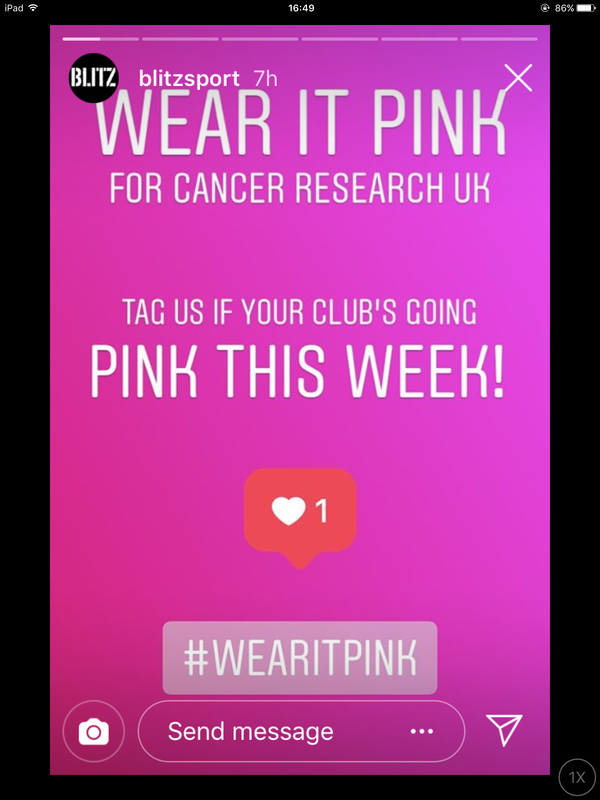 On October 18th every single student at Bridgnorth Tae Kwon-Do “wore it pink”. 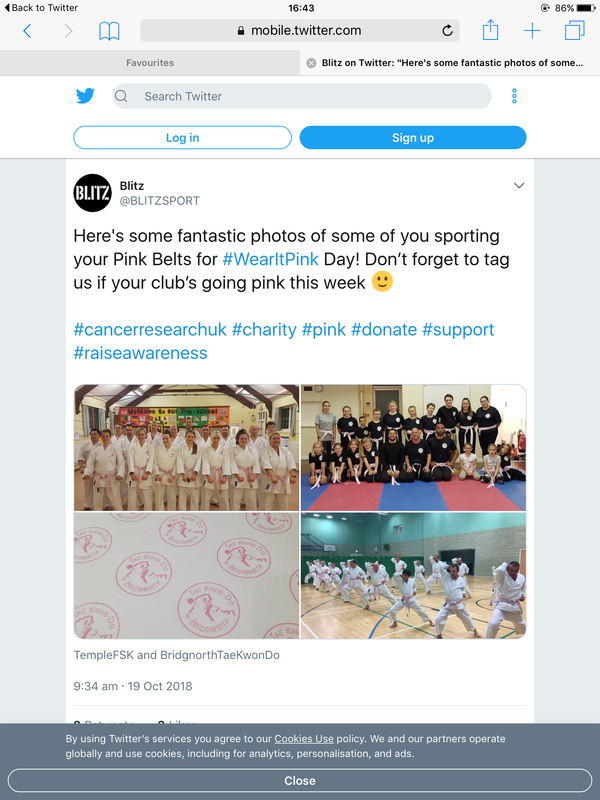 100% of our martial arts students opted to donate to Cancer Research UK in exchange for a pink belt, which resulted in a £30 donation on top of the proceeds from the belts via Blitz Sport. Blitz are now in the four-figure amounts raised which is fabulous. 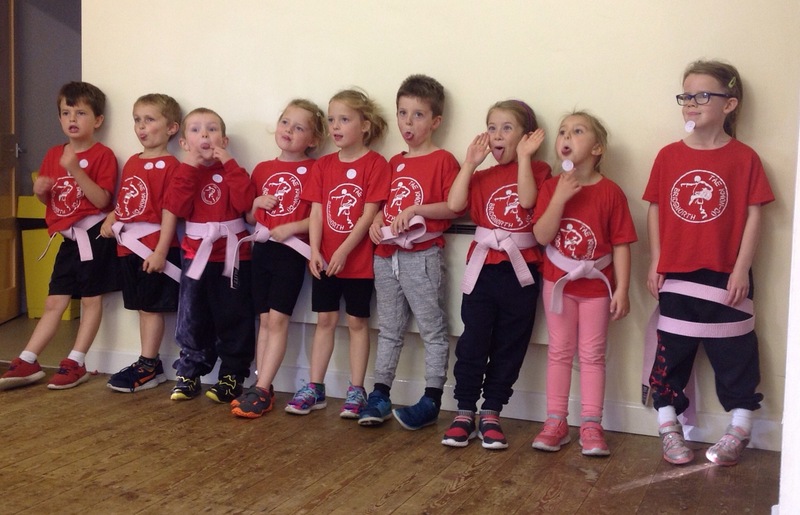 This entry was posted in Training Diary: Mum vs Ninja, Uncategorized on October 28, 2018 by bridgnorthtaekwondo. Four of our students have passed the latest colour belt grading. 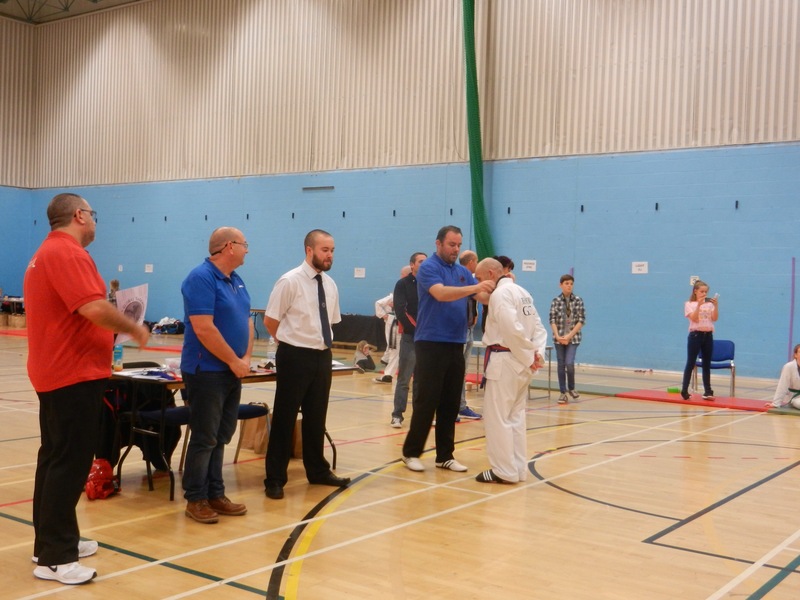 Sixth Degree Black Belt Mr Burgess travelled from Wells to Bridgnorth to conduct the grading, which was held at Bridgnorth Leisure Centre. Tom passed with an overall A-grade, showing consistent performance above the expected standard for his stage in the taekwondo journey. Jack was ill on the day but turned up, tried hard and showed us his best ever martial arts. Phoebe and Oliver passed their first gradings with flying colours too. 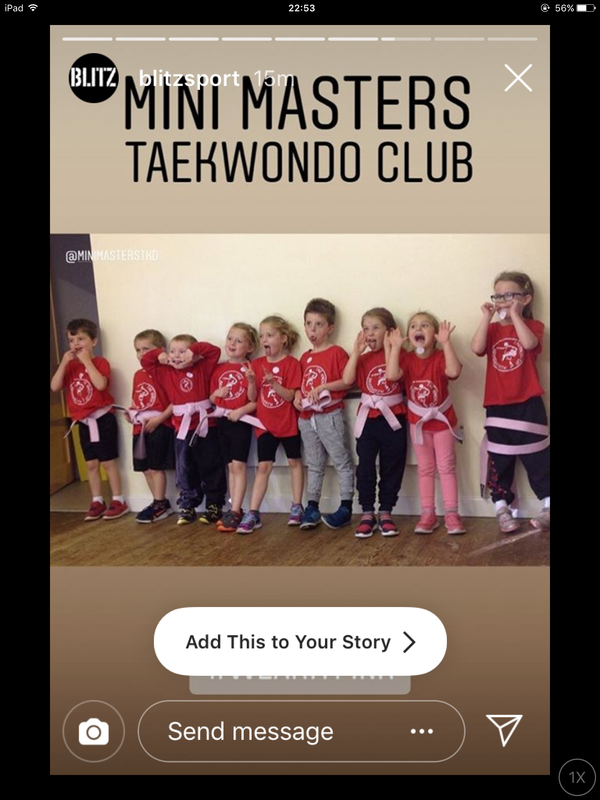 Phoebe has only been training since January and Oliver is the first student to graduate from Mini Masters to gain a yellow stripe. The first of many, we know! Mr Burgess also praised our three black belts who were put forward for assessment, saying he was “pretty impressed” and that the black belts performed at a “very high standard”. Well done everyone! 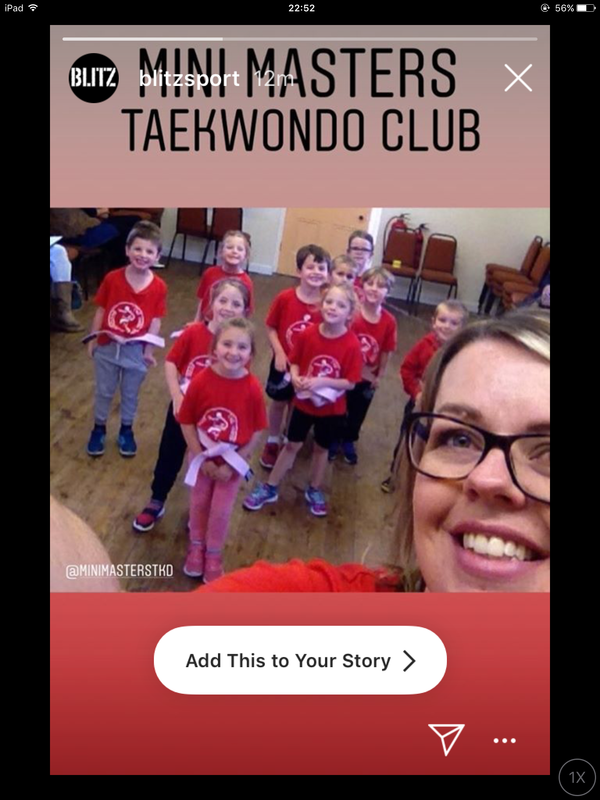 This entry was posted in Training Diary: Mum vs Ninja, Uncategorized on March 20, 2018 by bridgnorthtaekwondo. 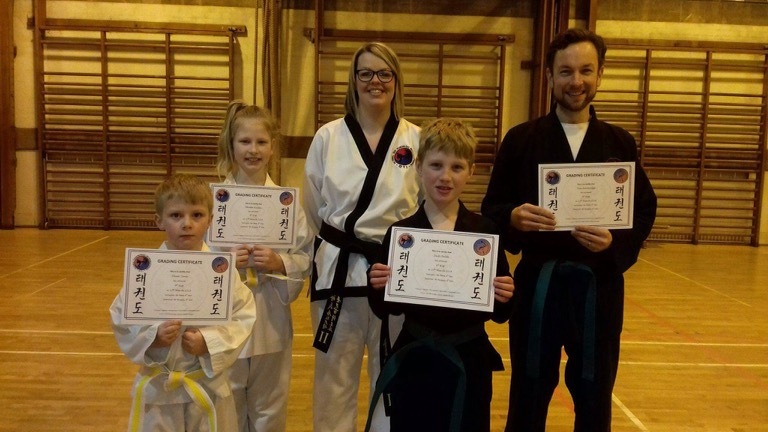 A group of colour belts passed their winter gradings with flying colours and a 100% pass rate which the club has maintained throughout the last 12 months. Adult black belt student Aubrey Round has gained his Umpire Certification in preparation for his upcoming 3rd Degree Black Belt grading which will take place in the spring. Mr Round also won silver for men’s veterans heavyweight black belt sparring at the GTI English Open last weekend. 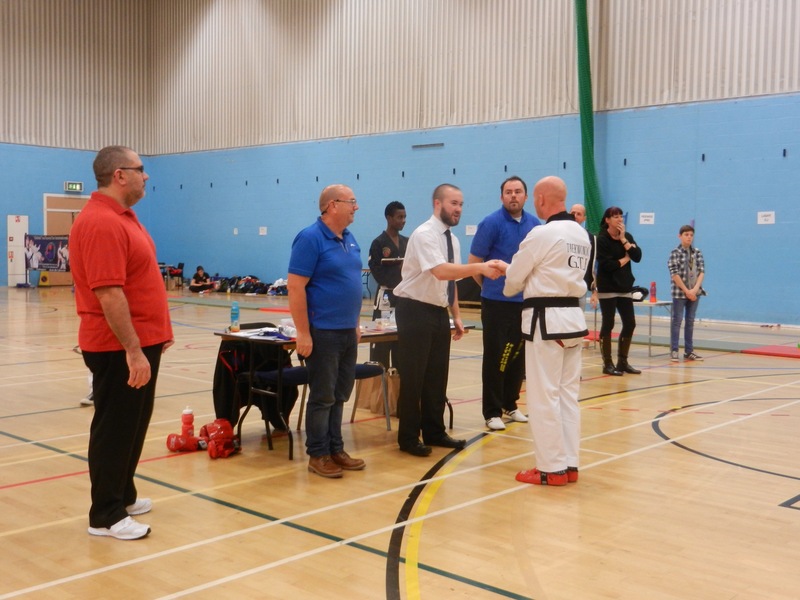 David Rowley also won a silver, for men’s veterans middleweight sparring, losing a very respectable final to a fifth degree black belt, after a tie. At the same competition, secondary school student Jack Light scored a personal best of 17 for his pattern ‘Toi-Gye’, and continued to show improvement. The best result of the day without a doubt was everybody’s attitude and willingness to strive to improve! Keep it up folks! 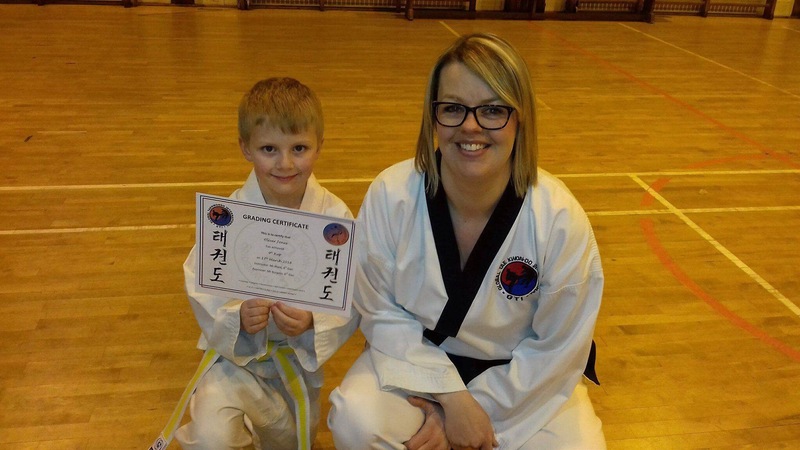 This entry was posted in Training Diary: Mum vs Ninja, Uncategorized on February 6, 2018 by bridgnorthtaekwondo. 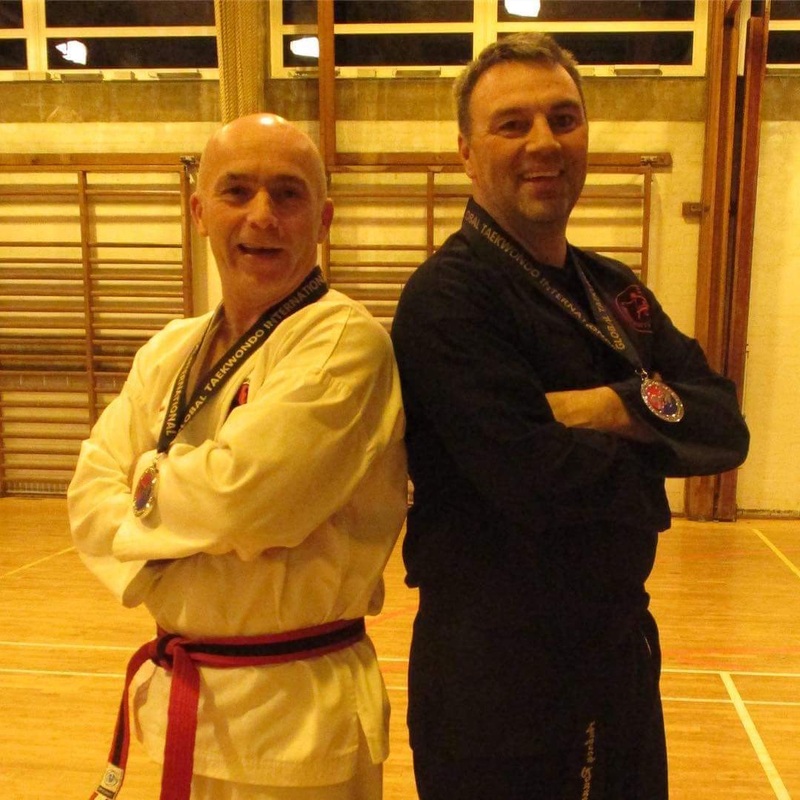 Having trained at Bridgnorth Tae Kwon-Do for fifteen years, Chris Murr has been promoted to 3rd Degree Black Belt. Dedicated, loyal, humble; Chris is a qualified umpire, instructor and has a 1st class engineering degree to boot! Dependable, reliable and unassuming – it’s easy to forget he is only 22 years old. On a personal note Gary and I don’t ask for help without a fight but Chris stepped in and helped us without question at a time we needed him the most. Congratulations Mr Christopher Murr, 3rd Dan! 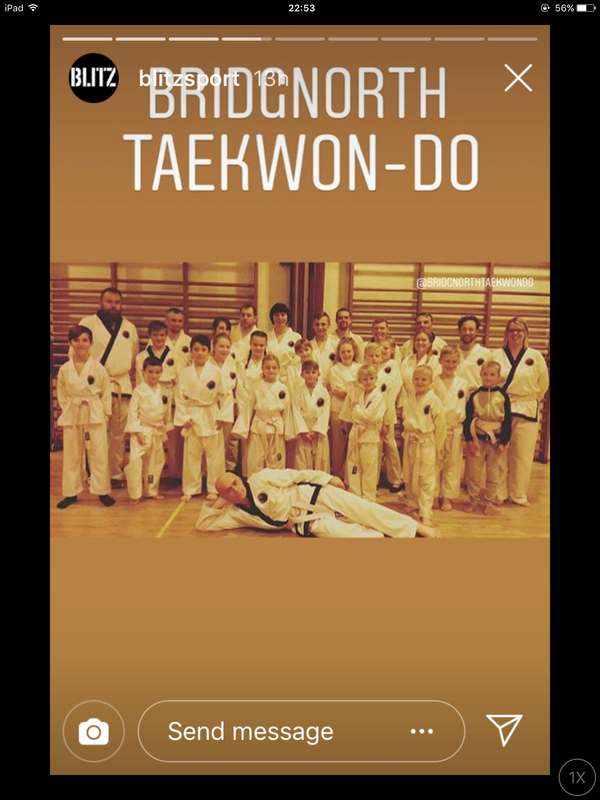 This entry was posted in Uncategorized on April 11, 2017 by bridgnorthtaekwondo. Just realise I haven’t ‘blogged’ in a while but we have enough news to make up for it! I also have a good excuse as we’ve been so busy! – 4 gold and 4 bronze medals from the GTI British Championship 2016. Firstly on October 9th Dean Lewis was promoted to 2nd Dan after unanimously impressing the grading panel at the Black Belt Grading at Master Sewell’s Academy in Derby. The grading day was the culmination of many, many hours training and revision. Dean sailed through! Meanwhile on the same day David Rowley travelled to Cardiff to compete at the UTIW Welsh Open. The only student from GTI to do so, Dave had a tough challenge without the support of team mates or coaches. This clearly wasn’t an issue though as Dave fought tough, heavy international competitors and came away with both a silver and a bronze. Talk about indomitable spirit! At the end of October, Mr Plant hosted an Umpires Course for our club members and this was supported by Chris Murr, Dan Murr, Aubrey Round, Jake Round and Tammy Lewis. The group said they found the course useful and insightful. Chris and Dan put their training straight into practice at the GTI British Championship on November 6th. 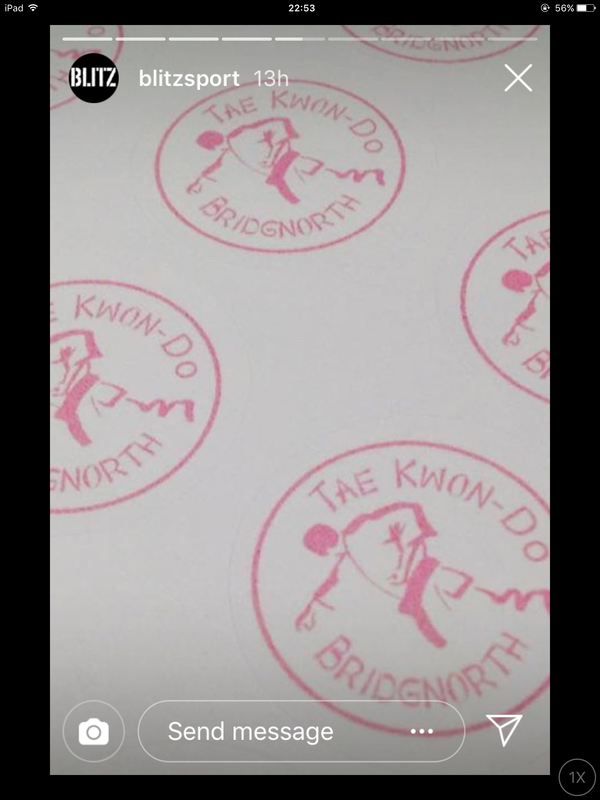 This was a massively successful day for Bridgnorth Tae Kwon-Do, with a huge haul of medals won! Aaron, competing for the first time, won his first ever fight with a score of 5-4. He was confident and followed his techniques up to great effect. He won bronze for point-stop sparring. Jack has competed before but only in the patterns category. He also performed well in his sparring debut, especially as the first real ‘hit’ during sparring always comes as a bit of a shock! Jack was awarded a well deserved bronze and we hope he will compete again to build upon this experience. Harry was unlucky and disappointed not to place in patterns or sparring, especially after showing a good pattern and improving his stances significantly. Keep training hard Harry and the medals will come! For now, the experience is making you a much better student! Perseverance. Dylan is a novice sparrer at competition level but he also managed to win a bronze, showing much improvement in balance, guards and height of kicks. As usual he was cool as a cucumber! On to the adults and both Dave Rowley and Tammy Lewis bagged medals for patterns. A patterns medal is always hard earned because it takes technical ability, precision, control, and at the same time lots of power! Dave won bronze and was extremely happy with his first GTI patterns medal. Tammy performed a beautifully controlled Joong-Gun which won her a gold! On to the sparring and Tammy made it a double by winning gold again! 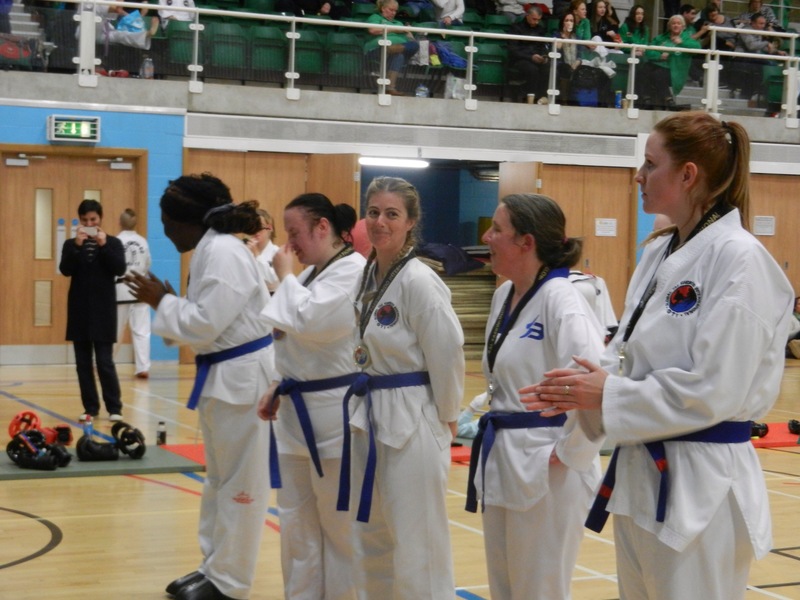 Her husband Dean matched her success in the black belt veterans division with another gold, and Dave did the same in the colour belt veterans division. Luke had unfortunately sustained an injury but spent the day time-keeping and scribing. So injuries aside, pretty amazing! Thank you all for your loyalty and dedication to training. It is reaping serious rewards! 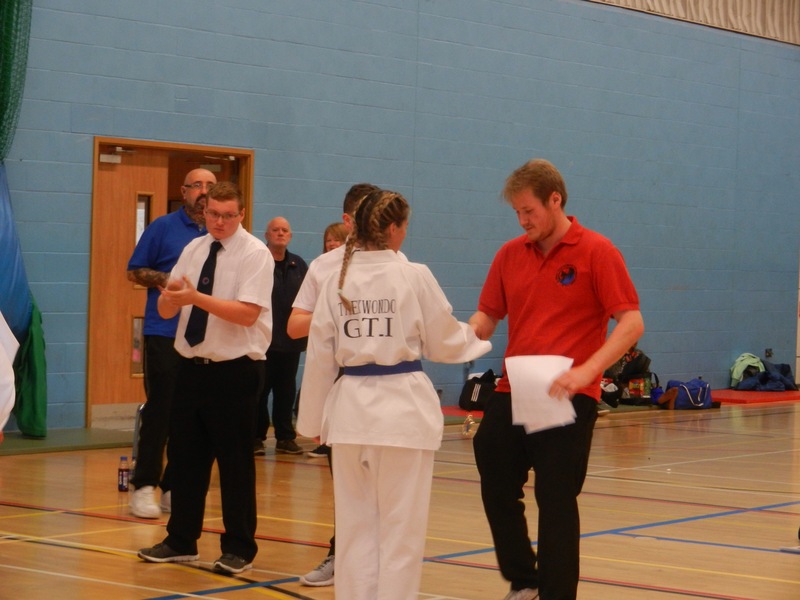 This entry was posted in Uncategorized on November 6, 2016 by bridgnorthtaekwondo. Harry, aged 7 (green belt) and at his second ever competition, was 4th for patterns and earned a bronze medal for his sparring. He also did a grand job of coaching his team mates! Dylan, aged 10 has competed once before but only in the patterns division. Today, he sparred for the first time competitively – in the black belt division – having passed his 1st Dan grading only six days ago! The lack of experience showed in Dylan’s first fight but by the second fight Dylan was responding brilliantly to coaching and earned himself a bronze medal (just two points away from silver). Tammy (green belt) won silver for patterns, bronze for sparring and also took part in a team event. The team was comprised of Tammy, Oliver (also a green belt) and Chloe (red belt). 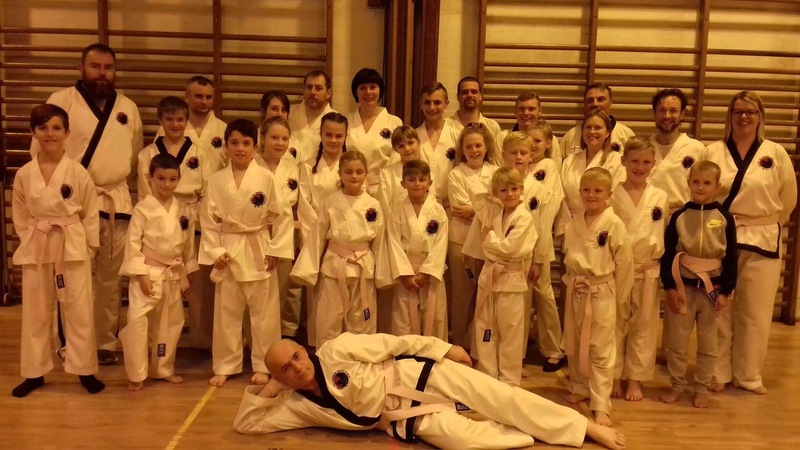 They won a silver medal each for their team pattern – beating a black belt team in the process! In addition to her silver for team patterns, Chloe came fourth in individual patterns and won bronze for sparring! Oliver added to his team patterns medal with a silver for sparring, winning two out of three fights convincingly. Dean took silver in sparring in a very tough and close battle which tied twice. He also won bronze for patterns – his first patterns medal since becoming a black belt, so another goal achieved! In addition to this Dean, Luke and Jake were our black belt patterns team, and they won gold! Luke added to his gold for team patterns with a silver for tag team sparring (in a mixed-club team he arranged at the event) and his first individual gold for sparring! He’s been working hard towards winning gold, and today has come home with two! Lastly Jake won double gold, with his medal for team patterns and a very convincing gold for sparring. His first fight looked effortless and although the final sparring match was very intense, Jake won during extra time thanks to 3 points for a retreating back kick to the head! Aubrey supported the team and also put a shift in by timekeeping and officiating! We are extremely impressed and proud of every competitor and would also like to say thank you to Dave, Rob, Daniel and Aaron who have ‘subbed’ and supported the development of the team patterns for this competition. The team worked brilliantly with support for each other all day long. As always THANK YOU for representing the club and for doing it so well! This entry was posted in Uncategorized on April 16, 2016 by bridgnorthtaekwondo. Congratulations to our teenage fighters Jake and Luke, who have been successful on the taekwondo competition circuit once again. The pair competed at the PUMA International Taekwondo Championships in Swindon and won a medal each! Jake won silver for sparring whilst Luke took bronze. The pictures below show some excellent points! 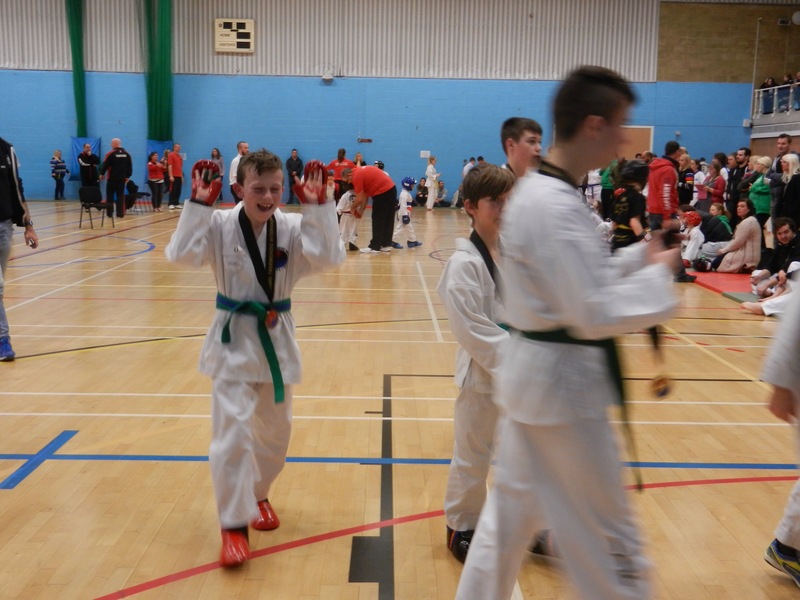 This entry was posted in Uncategorized on March 17, 2016 by bridgnorthtaekwondo.